For several years, family dinners were a trending topic. An article in the venerable publication The Atlantic showed research that families who sat down and ate a regular meal with each other were more bonded and had children who performed better in school. While the proof is still in the pudding – or pot pie in some cases – gathering as a family to have a cellphone-free conversation is never a bad thing. 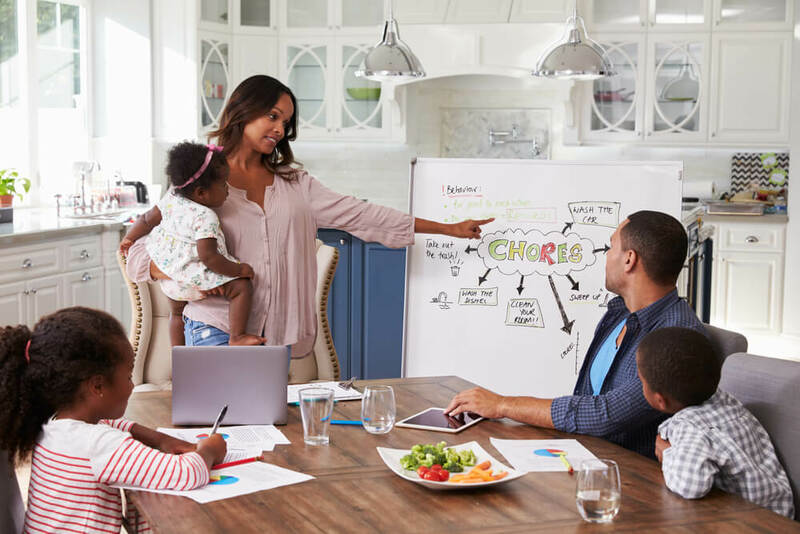 Taking a lesson from the family dinner, more and more families are implementing a regular family meeting as a time when they can collectively discuss topics and agenda items that are relevant to the group. As you consider resolutions for the coming year, having a weekly or monthly family meeting may be a positive step in achieving your collective goals. A family of teens and young adults can be scattered across states and time zones. But this very scheduling complexity can lead to productive and healthy discussions during a family meeting. Particularly, as parents get older and some siblings reach legal age, discussing matters often reserved for adults only can be very helpful for younger family members as they grow into adulthood. If you are new to family meetings, you may want to establish some parameters or even an agenda regarding topics. Money, investments, taxes, insurance, living wills, caregiving, are all things that will be encountered and must be dealt with as individuals grow and age. Bringing them out in the open will allow for transparency of information and keep all family members informed, which can reduce fighting and resentment among peers. While the family meeting may or may not be the optimal time to plan a vacation, there is no reason the discussion has to be serious all the time. In fact, by keeping it light and using humor to frame conversation, you may find that Family Meeting Time becomes something everyone looks forward to. Having a structured space or time where no subject is taboo can be healthy for family members who want to need to discuss uncomfortable subjects or air collective grievances. Consider a family meeting as a time where everyone is equal. This will help promote discussion amongst everyone, and may even help cultivate topics that become the cornerstone of future conversations. If you would like to begin family meetings but need guidance about the topics that may be most relevant to your group, call Mooney Lyons today at 847-382-2600. Our professional staff can provide you with the tools that are necessary to implement a productive meeting. We can help moderate and guide you and your family through the complex issues that face families today. At Mooney Lyons, we believe that information and discussion are keys to both professional and personal success.